~site: is used to refer to current site URL. ~layouts: is used to refer the /_layouts/15 folder also know as 15 hive. We also call it as relative path, I have seen developers providing absolute (fixed) path instead of related path. This happen mostly when they are inside a sub site so make sure to use ~site for referring lists This is one of the very basic thing but sometime we do not have idea and find it difficult to get it. I have seen this question on couple of forums so decided to write a small post about it. Adnan is two time SharePoint MVP (Most Valuable Professional) with over 12 years of extensive experience with major expertise on SharePoint Server, Office 365, .Net Platform and Microsoft BI. He is currently working SharePoint Architect at FMT Consultants. He is MCT Regional Lead for Pakistan Chapter since 2012. 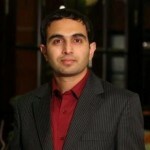 He is working on SharePoint for past nine years and worked on different intranet/intranet solutions for private & govt. sector majorly in Gulf region, which include OOB and customized solutions. He is a trainer, technology evangelist and also speaks in community forums.